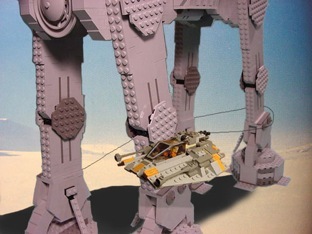 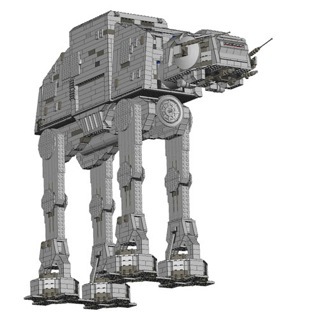 The IMWLKR-001 manual contains a giant sized 110 page step by step guide to building this giant Troop Transport Walker from your own bricks. 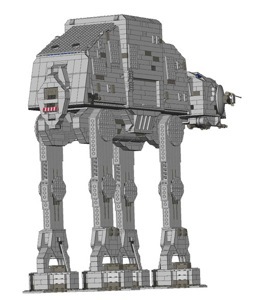 Cockpit opens to fit 4 figures, Mid section has a multi level troop area, Removable top and Mid Floor, troop seating and tons of room for gear. 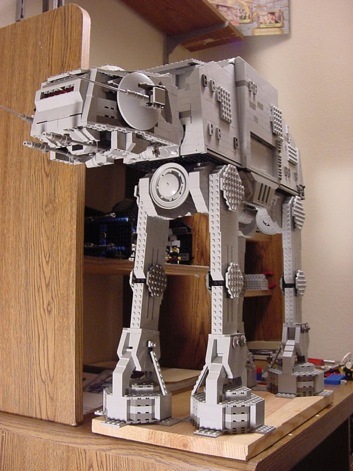 The side entry blast doors can lift and lock into place. 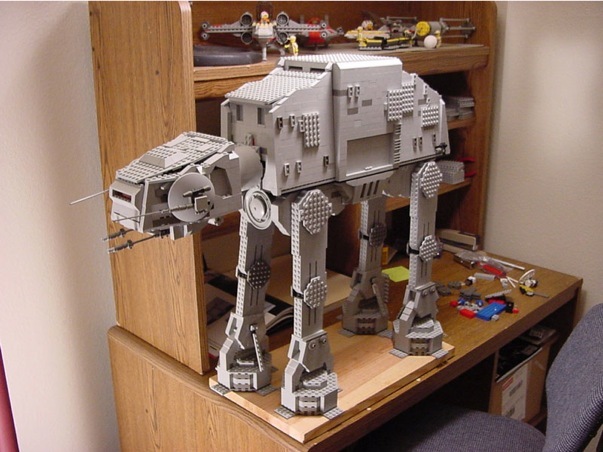 This model was designed in 2000, so the parts are more common brick and plate type parts, used in that era. 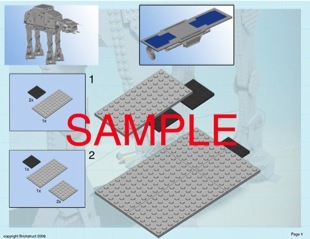 Also contains a complete parts list you will need, and lots of back page photo stills of the completed build.